Birding deserves a “year in review” story every December just like the myriad other categories of American life and culture. So for all the watchers out there, here’s my compendium of birding news, notable sightings and random thoughts from a year that flew by faster than a peregrine with a tailwind. In the milestones department, the biggie was the 100th anniversary of the Migratory Bird Treaty Act. The landmark conservation law, signed in 1916, came too late to save the passenger pigeon, but it has protected North America’s native bird species ever since. Birds need the federal protection that MBTA and subsequent laws like the Endangered Species Act provide. A shocking reminder came in January with news that a 19-year-old Texas man shot and killed two whooping cranes, a rare species numbering just 450 in the wild. In October a federal judge hit the perpetrator with a fairly severe sentence—not the “slap on the wrist” that’s happened before in cases like this. The outcome was a solid victory for the International Crane Foundation and triggered a collective fist pump by birders from coast to coast. Protection is just one necessity; bird conservation is another. A 2016 report issued jointly by the U.S., Canada and Mexico, revealed that more than a third of the 1,154 native species occurring in all three countries are in decline and require urgent conservation action. Get details at stateofthebirds.org. But enough doom and gloom. Good things happened in 2016 too, including some truly remarkable sightings. 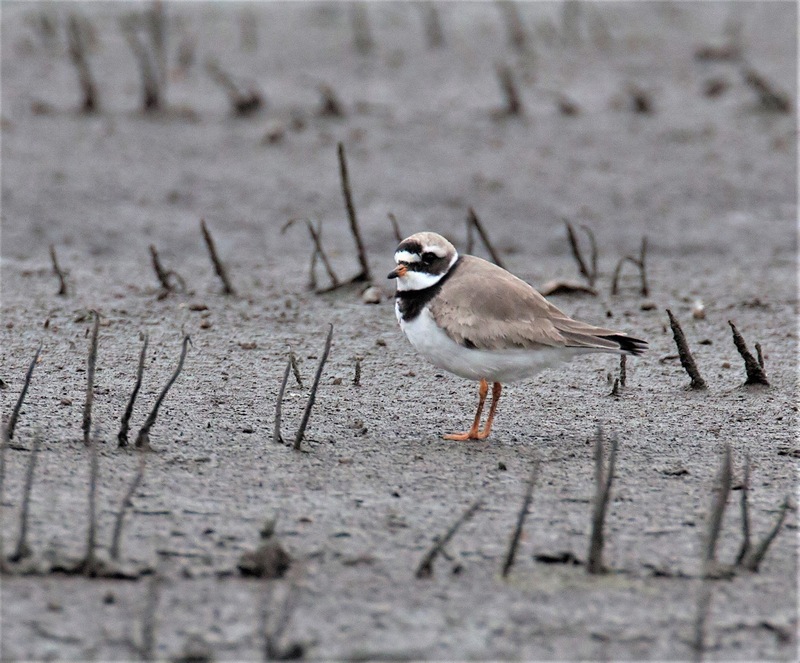 A strong case for Bird of the Year could be made for the common ringed plover spotted by photographer Gary Soper in September. The Eurasian shorebird, a first for Illinois, sent birders scurrying to Iroquois County for a glimpse. 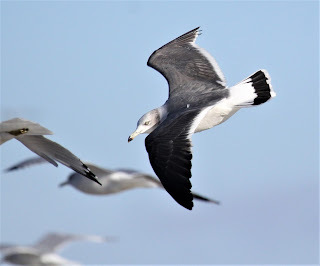 Some of those same chasers (and birders from at least eight states) began 2016 with a trip to Carlyle Lake in downstate Clinton County to witness a black-tailed gull, another mega-rarity for Illinois. Bill Rowe and his son Matt somehow picked out the vagrant gull in a swirling cloud of “everyday” gulls. Slaty-backed gull was another notable winter visitor, seen in Cook and Will Counties. Several spring songbirds also lit up the hotlines. 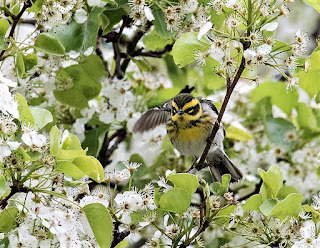 Matthew Cvetas discovered a Townsend’s warbler in Chicago’s Millennium Park in late April, and two days later a Swainson’s warbler turned up at LaBagh Woods, spotted by Glenn Giacinto. At about the same time, a western tanager appeared at Cook County’s Elmwood Park. Coveted DuPage birds included yellow rail at Springbrook Prairie in Naperville—kudos to site steward Joe Suchecki—and a little blue heron at McKee Marsh in Warrenville, found by Kyle Wiktor. Pileated woodpeckers nested at Morton Arboretum. Observers atop the Greene Valley Forest Preserve hawkwatch hill recorded the site’s first-ever gyrfalcon, plus whooping crane, golden eagle, northern goshawk and American anhinga. On Sept. 27, the crew counted more than 3,000 migrating broadwinged hawks—Greene Valley’s best single day ever for the species. This was season No. 11 for the hawkwatch, where data are collected by volunteer birders from September through November. 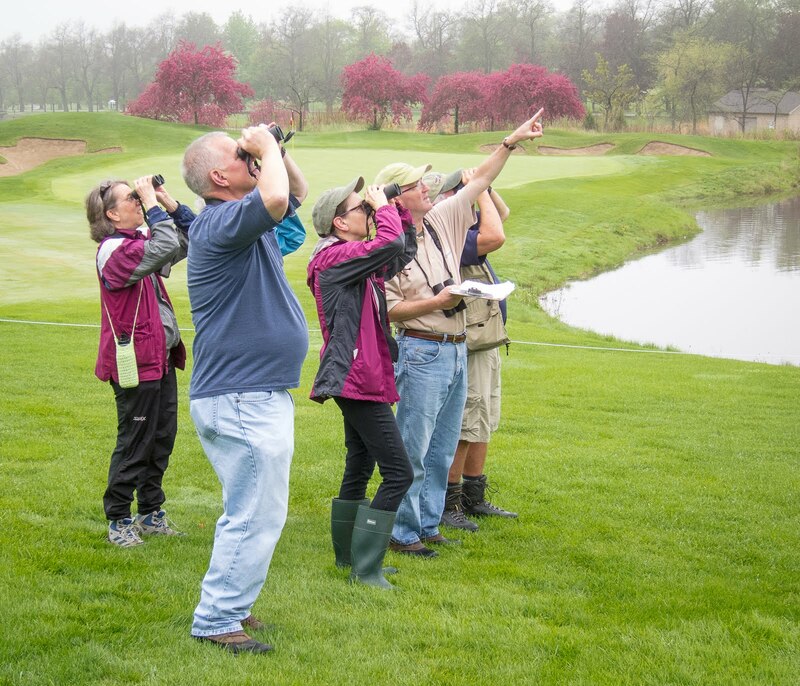 Downers Grove homeowners Bob and Karen Fisher welcomed a wayward rufous hummingbird (and dozens of appreciative birders) for several weeks in October. The hummer was species No. 198 for DuPage County’s birdiest yard. Sightings along Chicago’s lakefront always amaze me. The area, especially Montrose Point and its Magic Hedge, is famously well birded, ensuring that nothing with wings escapes detection. The partial—repeat, PARTIAL—2016 lakeshore list: brant, neotropic cormorant, cattle egret, red-necked grebe, black-bellied whistling duck (three! 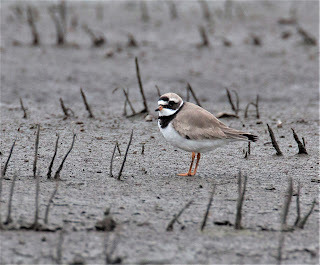 ), piping plover, whimbrel, red knot, Say’s phoebe, American avocet, upland sandpiper and whip-poor-will. Tack on 30 species of warbler, too, including cerulean, Kirtland’s, prairie and worm-eating. Lake County watchers hardly got cheated. Illinois Beach State Park produced western grebe, red-throated loon and ferruginous hawk, and Waukegan Harbor birders scored harlequin duck, purple sandpiper and snowy owl. Winthrop Harbor, home of the annual Gull Frolic in February, gave up California gull and little gull. A brown-headed nuthatch was earned at Chicago Botanic Garden. Kane County’s highlight reel featured Barrow’s goldeneye, Ross’s goose, snowy egret, Hudsonian godwit and black-necked stilt. The latter two species visited the same roadside “fluddle,” two months apart, in Sugar Grove. A cool thing happened in DeKalb County, too: In April, at Pizzo Native Plant Nursery, birders observed seven ibis: six glossy and one white-faced, all together. Even one Ibis of any kind in northern Illinois is newsworthy. Did you hear that? Thousands of sandhill cranes filled the skies in early December, cruising over the region in waves ahead of a cold front. Also in December, a Harris’s sparrow sampled the feeders for several weeks at Crabtree Nature Center in Barrington. The species visited Lyman Woods (Downers Grove) in November. Willlowbrook Wildlife Center in Glen Ellyn celebrated 60 years in 2016. The Night Owl Benefit in September, a delightful event held on site, raised $27,000 to help fund new housing for the center’s education raptors. Congrats and best wishes to Ron Skleney who retired after 12 years as a Willowbrook naturalist. I’ll always picture him with a hawk or owl on his arm, speaking at schools and other venues around DuPage. Nobody did it better. Ron is currently giving talks on the virtues of shade-grown “bird friendly” coffee and keeping his binoculars within reach. The Forest Preserve District of DuPage County, Willowbrook’s parent, launched a pilot nest box program for American kestrel, a species in decline locally. Only starlings and tree swallows occupied the boxes this year but it’s a start. Illinois Audubon Society resumed its greater prairie chicken restoration efforts, relocating 99 birds from Kansas to downstate Prairie Ridge State Natural Area. It’s all about growing the self-sustaining population of “boomers” in a state where they once thrived. High fives for the Illinois Young Birders! The group’s first-ever symposium, held at Ryerson Conservation Area in August, was a hit. ILYB is a special project of the Illinois Ornithological Society. Watch “The Million Dollar Duck” if you get a chance. And then, please, purchase a federal duck stamp. On my reading wish list: “Lost Among the Birds” by Neil Hayward. He’s the guy who broke the North American Big Year record with 749 species in 2013. The second annual Global Big Day on May 14 set a new mark for most species in 24 hours: 6,100. 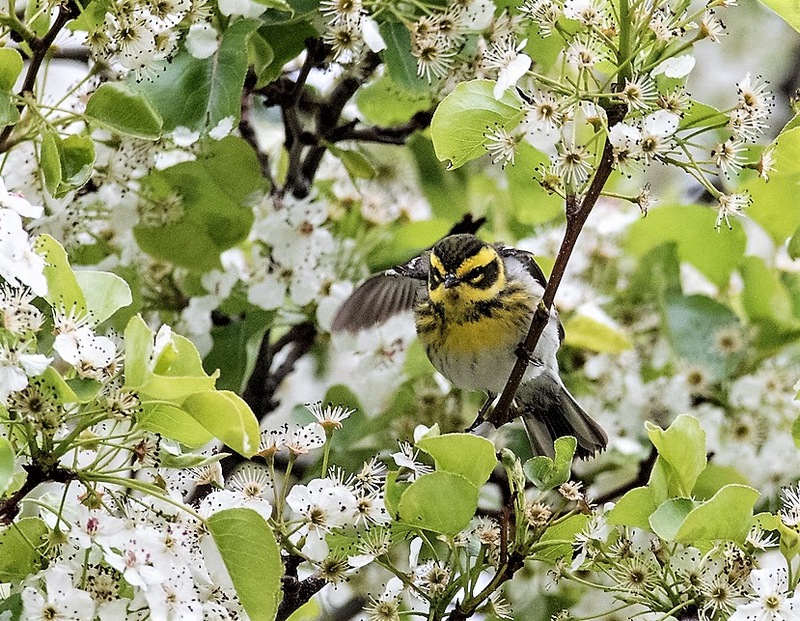 More than 15,000 birdwatchers from 144 countries reported via eBird. 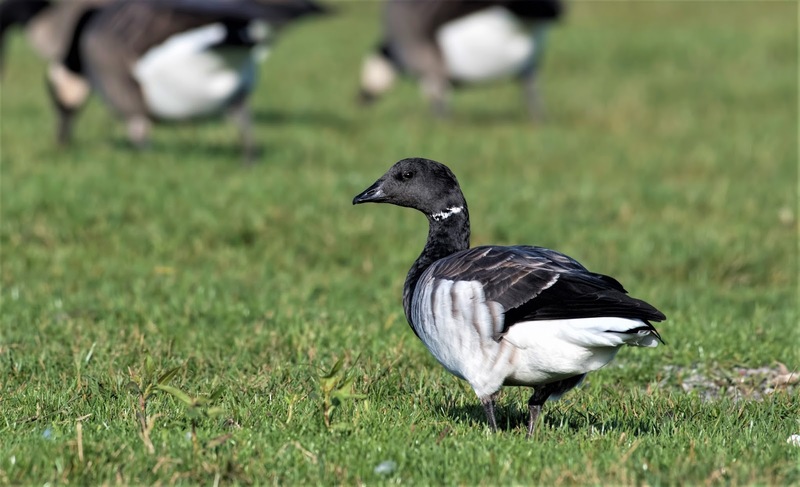 Canada may finally get an official bird. The National Bird Project ended with gray jay as the top choice, with formal designation by the Canadian Parliament likely in 2017. Canadians might also have considered the amethyst-throated hummingbird. The species, never recorded north of Mexico, turned up at a Quebec feeder in July. Passings: Paul Mooring, a Glen Ellyn native, lifelong environmentalist and champion of the Illinois Prairie Path; Sally Baumgardner, another environmental superstar and past president of the DuPage Birding Club. “Cookie,” Brookfield Zoo’s avian patriarch, also died. At 83 he was the oldest cockatoo of his species in the world, and the last of 270 animals living at the zoo when it opened in 1934. Tufted titmouse, a common bird but scarce in the Chicago region, teased us with multiple appearances in DuPage, including Cantigny Park, Elsen’s Hill, Fullersburg Woods and a Glen Ellyn feeder. My favorite backyard bird is on a postage stamp! All hail the small but mighty red-breasted nuthatch. No yardies for me in 2016—my list is stuck on 115—but what a surprise to pick off a Canada warbler in May and again in late August. Plus, for the first time, black-capped chickadees raised a family in our wren box. Finally added common loon to my DuPage list, seen in March on Blackwell’s Silver Lake. My weirdest sighting of the year was a ring-necked pheasant in Wheaton, pecking in the grass along Shaffner Road. My personal Bird of the Year was easily great gray owl, one of six lifers gained at Sax-Zim Bog near Duluth, Minn. Seeing that awesome bird with friends, after a desperate, down-to-the-wire search in frigid conditions, made the experience even better. Sax-Zim was unforgettable, and so was a brief, unplanned visit to Congaree National Park in South Carolina. If you like prothonotary warblers, you’ll like Congaree. A family vacation to the Baseball Hall of Fame in Cooperstown, N.Y., included a side trip to the Cornell Lab of Ornithology in Ithaca. The Lab, long on my destination bucket list, did not disappoint. Nor did the sort-of-on-the-way Roger Tory Peterson Institute in Jamestown, a city better known for Lucille Ball. Thanks Catherine, Rachel and Jay for indulging my passions for baseball, birding and classic road trips! And thank you, readers, for supporting another year of Words on Birds. I wish you all a healthy 2017 filled with exciting birds and birding adventures. Remember, if the Cubs can win the World Series, anything is possible.